The doctrine of the clarity of Scripture does not mean that the Bible is instantly clear, or equally clear to all, or fully clear to anyone. What it does mean is that the Bible can be understood. I’ve often made the passing remark in teaching settings that the authors of the Bible were neither drunk nor wasteful. That is, they were coherent in their thoughts, and efficient in their writing. They didn’t waste words or papyrus, they wrote in order to be understood by their intended audience. But their is a greater Author involved too. He is the master communicator and He made sure the Bible communicates exactly what He wants communicated, down to the very last word. Praise God that He is a communicating God to the core of His triunity! He is not a glory-hungry despot who communicates with impenetrable complexity in order to make us feel small! This truth does not negate the necessary work involved in making sense of the Bible. We do have to cross a significant historical, geographical, political, religious, cultural and linguistic divide. It does take effort, and prayer, and time, to make sense of the Bible. But no matter how tough some parts may be, it can be understood! 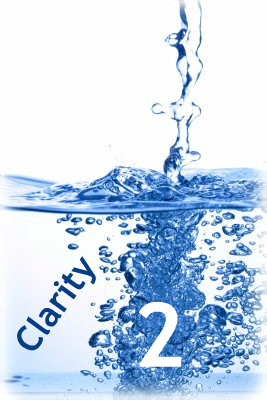 So what are some implications of the doctrine of biblical clarity for preachers? 1. Preachers have to work at understanding the Bible, there is no excuse for making up our own message (ab)using a passage. When we preach our own message from a passage, we subtly give the impression that the text is not there to be understood, but abused. Don’t be surprised when listeners copy our textual abuse patterns and come up with ideas we don’t like. 2. Preachers don’t have to make every detail instantly understandable to listeners, but we should be breeding confidence that study leads to understanding. The doctrine of the clarity of Scripture does not imply that God is patronizing. We don’t need to be, either. Some parts are very tough, acknowledge this, don’t fudge. There is much more that can be understood than is seemingly impregnable – help people see this. 3. Preachers are representing a God who made His book understandable, we should model a passion for clarity in our communication. We don’t represent Him well when we make our message dense, impregnable or overly complex. Tomorrow I will add one more aspect that is perhaps the most crucial of all.